Highlighting and Contouring are methods used to define facial and body features. Highlighting will help enhance the features you want to be seen and make them "appear forward". Contouring helps give depth and recede features. Blending is the "art" of makeup application. I think this is one of the things that makes one truly a makeup artist. This assignment was a challenge for me because one, I used a model with skin tone and features that I am not accustomed to and second because I found myself trying to place the contouring and highlighting in places that I so often saw on "You Tube" videos. I am realizing that I have learned some bad techniques and so it was a challenge for me to "work against" what I have seen for so long. Before doing the assignment, I applied primer and foundation to my model. At first, it was hard for me to figure out her tone because I have been use to practicing on people with cooler undertones. Her tone was sort of peachy and red and yellow so I choose a neutral foundation shade for her base color. 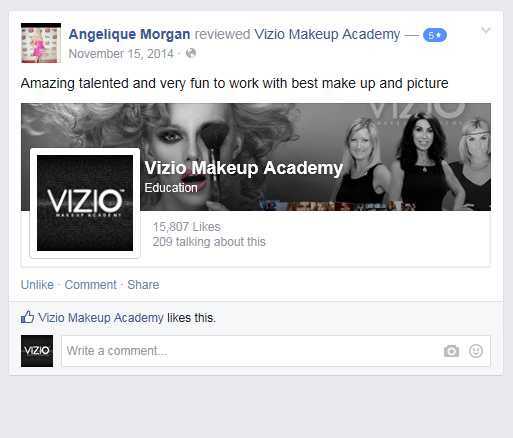 We all know that Vizio Academy is the best academy if you want to master the skills of makeup and if you want to stand out from the competition in the makeup industry. Video Testimonials & Reviews by some makeup lovers and so it is your place to be if you too love make up! It has customized makeup tutorials for you. They have got you even if you are a beginner and even if you are an expert who wants to enhance the skills already acquired. Various packages are available at different prices and you can choose for yourself. The benefits don’t just end here; you are also offered an option of video testimonials. The video testimonials are an opportunity for you to learn new makeup skills not even from professionals, but also from other makeup bloggers. Leaning doesn’t necessarily have to be from professionals; the students who may post their work on Instagram and Facebook. This is a platform for the beginners who have recently started following their passion for makeup and want to grow. This is their chance to enhance their skills and be able to get a platform from where they can achieve recognition. There has been an array of talent displayed on the website of Vizio Academy. 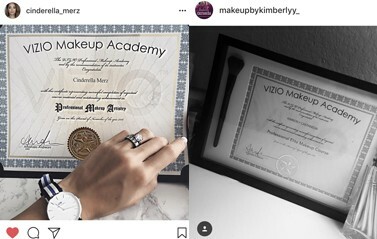 Various makeup bloggers and beginners have posted regarding their makeup skills on Instagram. This platform not only allows them to get more followers, but they are also able to learn from other makeup bloggers and influencers who may post their looks. The makeup looks range from simple ones to some really difficult ones. 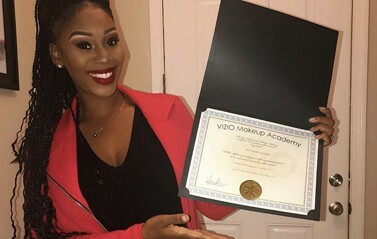 The Facebook page of Vizio Academy is another chance for you to learn some new makeup skills that will help you improve your current skills set and stand out from the crowd. 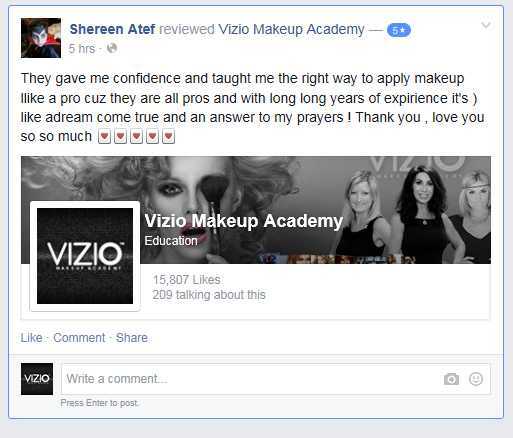 Vizio Academy is your thing is you have a tight schedule and still want to be able to learn makeup skills online. The staff at Vizio testimonials is exceptional. They will answer all the questions that might arise in your mind. Moreover, they will also send you products at the beginning to make your life easier and to save you time. The course doesn’t only help you learn about the history of makeup, but also make some flawless looks to be in the spotlight. Your experience at Vizio will be added to when you see their video testimonials and the reviews that the people who have already tried them have given. 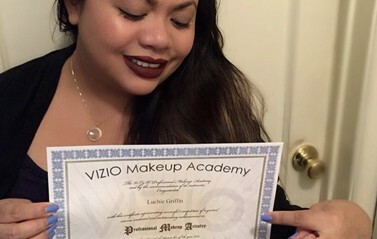 A student at Vizio has posted about how she was able to improve her contouring and highlighting skills and how she had been doing it all wrong previously; as learned from some tutorials on Youtube. 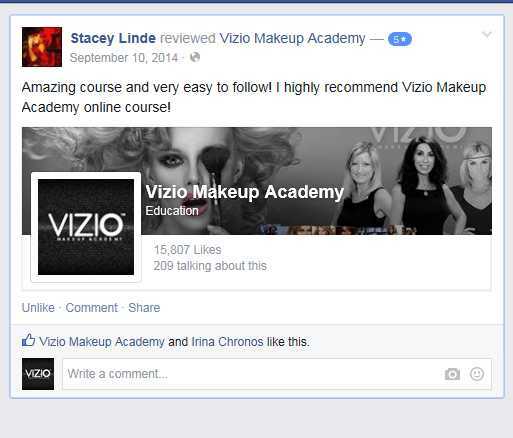 Vizio is the ultimate Makeup Academy for you to learn and grow as a makeup artist.